Wireless External Probe Temperature Sensor over LoRaWAN or Sigfox. 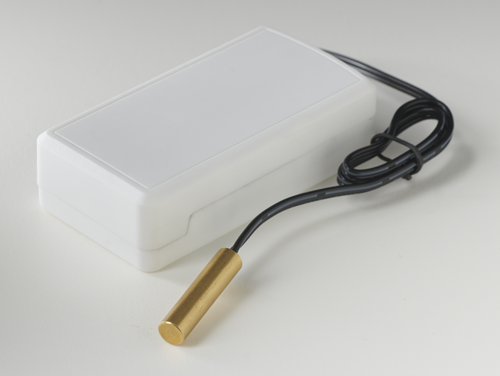 The external probe temperature sensor measures temperature using an external temperature probe. If the temperature rises above or falls below the configured thresholds, an alert is sent over the wireless network.